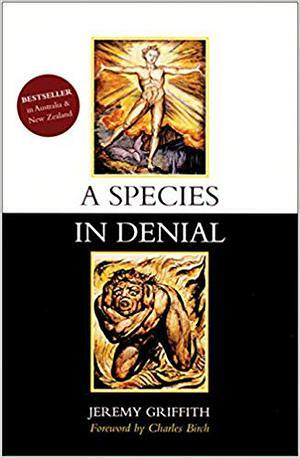 A SPECIES IN DENIAL is the revolutionary bestseller by Australian biologist Jeremy Griffith. In it the author presents a series of essays addressesing the crux issue before us as a species of the human condition, our capacity for good and evil, describing how humans have coped with the dilemma of the human condition by living in denial of it. Griffith then explains the biological reason for the human condition, thus ending the need for the denial and maturing humanity to psychological freedom from its historic insecure human-condition-afflicted state. With a foreword by Templeton Prize winning biologist Charles Birch, this book provides a deeply insightful examination of science, religion, politics, men and women, psychiatry and mythology.